Create any number of Sudokus and solve them. Store Sudokus for in-depth study. Solvability guaranteed. Drag digits from the palette or click on the board and wait for the desired digit to appear. Neither method will let you place double digits. Includes automatic markup. 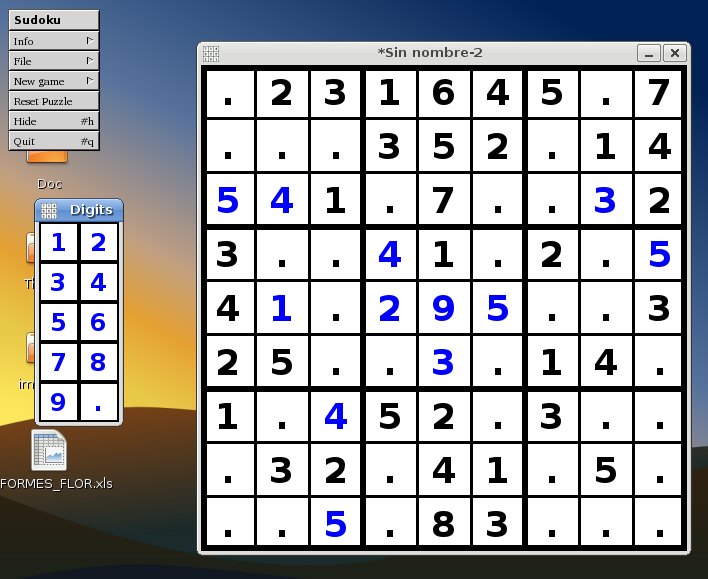 You can input external sudokus for solution. This page was last modified 07:39, 18 July 2011. This page has been accessed 20,476 times.